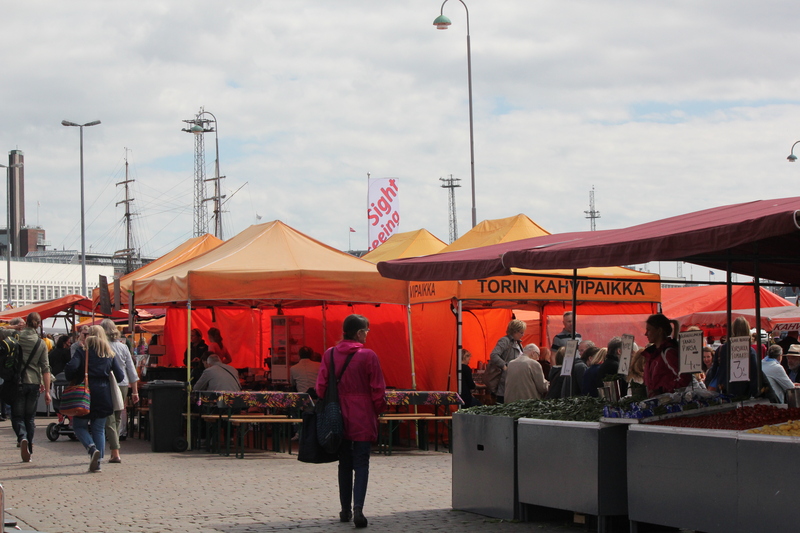 The Helsinki Market is on a wharf near the City Hall and steps away from a central park and shopping district. What is nice about this market is the local artisans and food. When you first step into the market, there are a number of fruit and vegetable stands — very similar to the farmer’s markets around Toronto. The fruit looked — and tasted — amazing! Next are the craft stalls. Many of them were filled with hand-knitted hats, mittens, scarves and sweaters, with the artisans sitting at the stalls knitting new items. There were other types of designs as well, from hand-dyed woven clothing to wood-carved toys. It was a delightful way to spend an afternoon watching people and talking to some of the designers. Of course, what is a trip to the market without food! 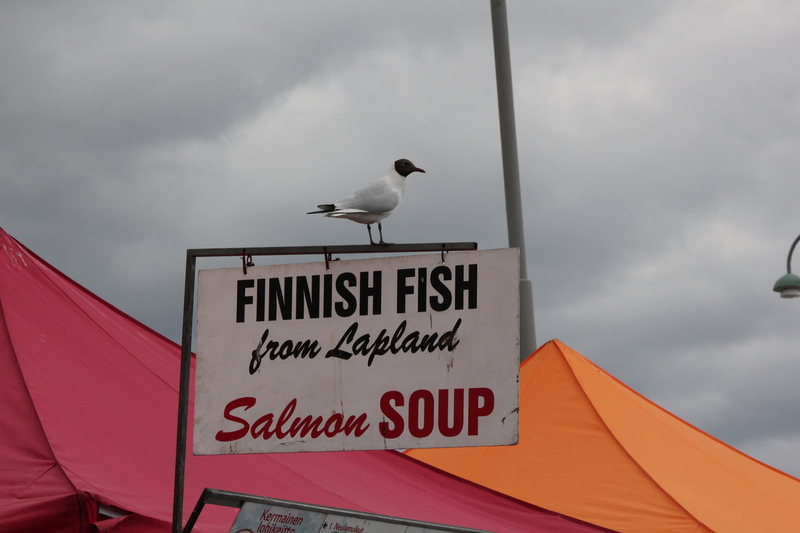 There were several stalls that served some traditional — and not so traditional — Finnish food. I have to say, I really enjoy the smoked reindeer meat balls! 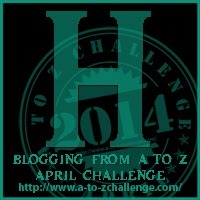 Here is more on my day in Helsinki. Thanks for sending us on a mini-vacation with your photos! Don’t think I could eat reindeer meatballs though…just couldn’t do it! 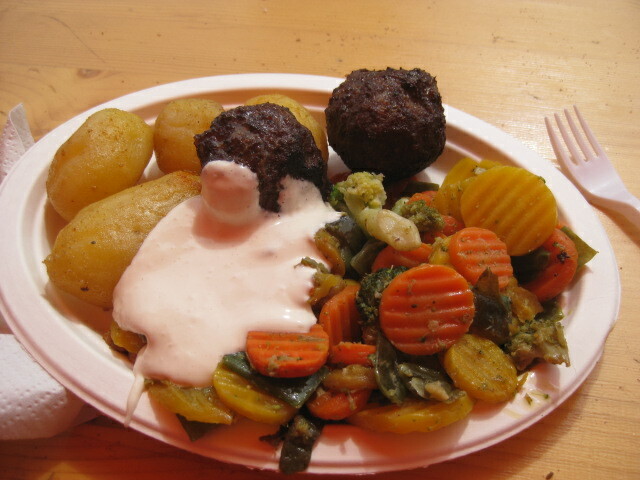 If you have eaten venison, reindeer meat is similar. If not, than I can see how it might not be high on a list of foods to eat. Really, it was quite tasty and I found it milder than venison. 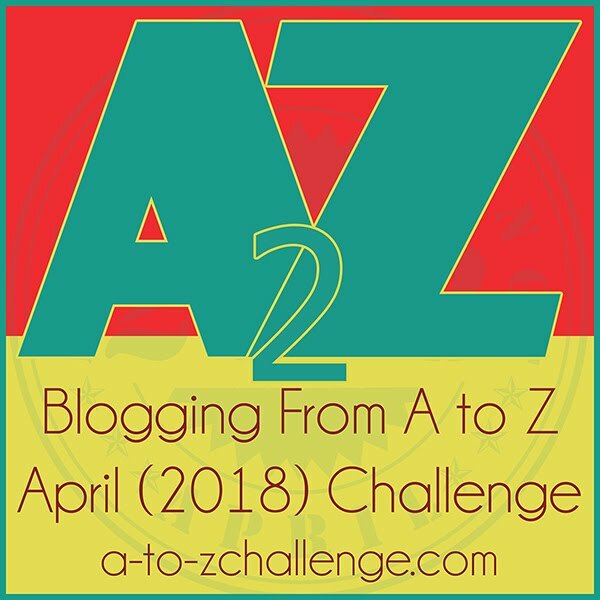 I’d love to visit Finland- maybe in 2024…. Finland is beautiful and the people are very friendly! It’s so good to see that Helsinki has improved since I was there for a day in 1992. I was visiting Stockholm and took the overnight ferry over. Ended up taking the next ferry back instead of staying for a couple of days as planned. Very interesting architecture and a high level of street crime. Was able to send a postcard to my great aunt who had immigrated from Finland to America. 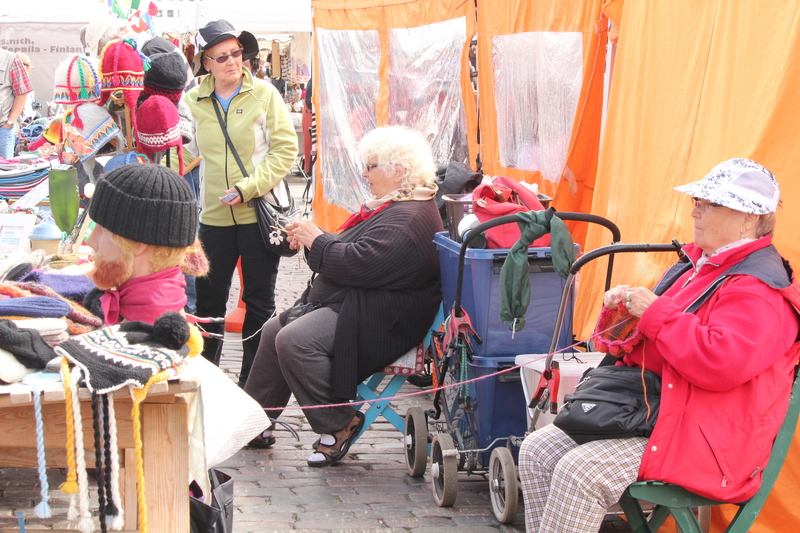 I have not been to Helsinki yet, but I love a good market, so I’ll have to go! Helsinki is wonderful. I definitely want to go back.